After not posting a Homebrew Wednesday video last week I thought it would be cool to start with something interesting and unique i.e. to open with footage of me pouring a homebrew Black and Tan consisting of my pilsner and breakfast stout. However, both of my attempts to do so were unsuccessful. Hence, the above title. Video Summary: After some updates on my recent homebrewing experiences I share some footage of me wax sealing my more recent batch of English barleywine and my recently brewed pilsner’s fermentation. 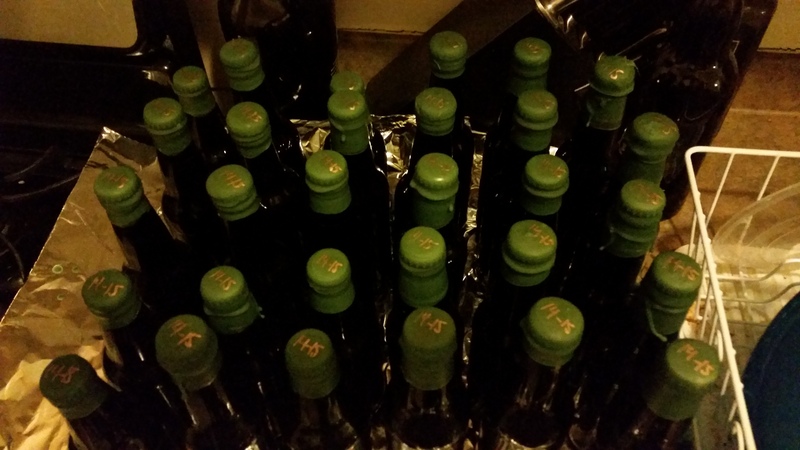 This entry was posted in Homebrewing and tagged black and tan, bottle sealing wax, homebrew alley, Homebrewing, keezer, NYCHG, pilsner fermentation, pouring a beer, wax dipping homebrew. Bookmark the permalink.